Home / Blog / Warm-Up – Is It Really Worth It? Warming up has been something that has been up for debate for quite some time. 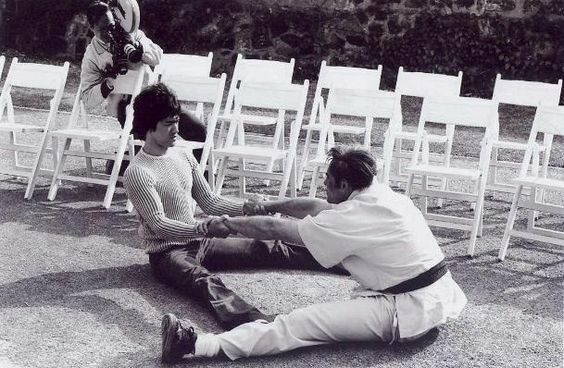 I’m pretty sure Bruce Lee was always altering his methods for warming up, and even further back we can look at how martial artists warmed up, and if there are is any written history, I’d love to see how gladiators, warriors, etc warmed up. Perhaps the reasoning for this is due to the immense amount of “creativity” that individuals within the industry can impose upon their idea of a warm-up in preparation. There is, like everything we do, almost no standardization for what is right or wrong. However, respecting the actual anatomy and physiology, along with respecting what an individual believes (which speaks to the psychological aspects, self-beliefs, etc), can lead us to a more correct identity of what plans of action to take. Further, I’ve explicitly done these items for weeks, sometimes months at a time, just to prove a point – that if I truly believe in something, I also have to see a thought process that I believe is incorrect or wrong, and see how I fare. I learned a few things. For those that are rigidly sticking to your foam rollers, lacrosse balls, and bands, I encourage and challenge you to step away from what the “industry” has imposed as a necessity, and discover what is truly important for yourself. I’ve had great training sessions without any foam rolling. I’ve had great training sessions without doing any quadruped extension rotations, or glute bridges, or dead bugs. I’ve had great training sessions with only open loop drills such as skipping, 15 yard sprints, cariocas, marches, etc. I’ve also had time crunched training sessions where I’ve had to omit a full on 20 minute foam rolling session, and just do 30 seconds of foam rolling. I’ve had sub-par training session where I’ve only done movement drills, and dynamic warm-ups. I’ve had bad training sessions where I’ve even included foam rolling, movement drills, dynamic warm-ups, etc. So is it safe to align myself with the thought that you absolutely need to prelude a training session with one of the “Version 1” warm-ups listed above in order to elicit an appropriate physiological training effect? Again, I’d argue that this point is not as necessary, as I’ve seen great training sessions performed with as little movement preparation other than taking an empty barbell, and furthering the physiological quality of strength (with respect to powerlifting, for example). What is the purpose of the warm-up? 1. It can be introduced as a marketing effort to distinguish from services and other businesses. This is not a bad thing. Many may associate marketing with a negative connotation, and I’m here to say that I’ve seen and heard of bad training methodologies with an amazing marketing team. I’ve seen amazing training methodologies with zero to little marketing strategies employed, and the featuring a different warm-up is simply another way to distinguish between competitors. 2. Introduce a window of physiological opportunity to help introduce further physiological training effects. Now this is where I get excited. I’ve used various technologies, both real pieces of tech (OmegaWave, HRV tech) and cheap tech (tracking heart rate with first two digits on the side of the wrist, plus sleep tracking, plus checking grip strength). The purpose of these technology items is to track physiological readiness (Am I ready to train a specific quality today?). Now, the warm-up can alter, change, or perhaps if done incorrectly, degrade those qualities of readiness. Would someone like Allen Iverson do better or worse without doing foam rolling, hip flexor stretches, etc.? Or does he just want to go and practice? Separating myself from the marketing aspect of how a warm-up can vary from trainer to trainer, and philosophy to philosophy, I believe that there are real physiological qualities that can be enhanced, ignored, or maintained as far as a warm-up is involved. There is so much benefit towards improving both the superficial and deep core temperature. Likewise, there is a lot of literature towards identification of how tissue temperature can influence O2 consumption, expenditure, nervous system conduction, blood flow dilation towards the working muscle groups. This is one concept that will need a better requisite of contemporary literature, namely identification of regional interdependence, the concept of passive versus active mobility, along with understanding a scope of practice that many trainers may not adhere towards when providing neurological changes to clients and athletes. I still believe in the Joint by Joint Approach (JBJA). Many of my colleagues may feel as if they have moved on for whatever reason. I’d like to argue that while the JBJA may seem like a black and white approach (for a lack of better phrasing), it is in fact simply a guideline that will allow better clinical decisions to be made. In fact, the JBJA still adheres to the qualitative effects of end feel, neurological tone, regional interdependence, and how gait works. If the ankle does not dorsiflex as you push off, you will get a collapse of the medial arch and overpronation may occur. 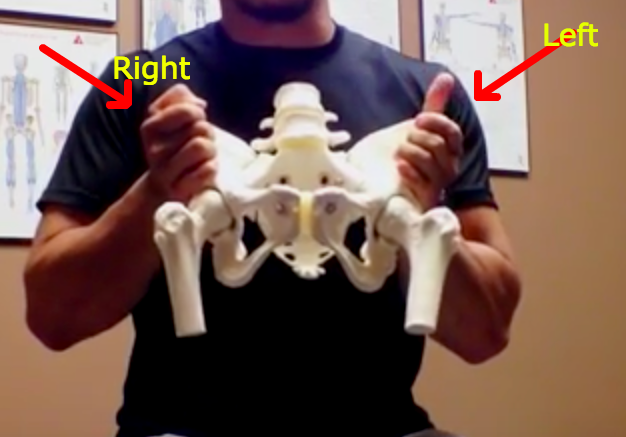 This speaks to a possible limitation at the talocrural joint, neurological tone that may prevent movement from the ankle-on-up towards the hip, and can even limit trunk rotation. Prepare your joints at multiple angles! 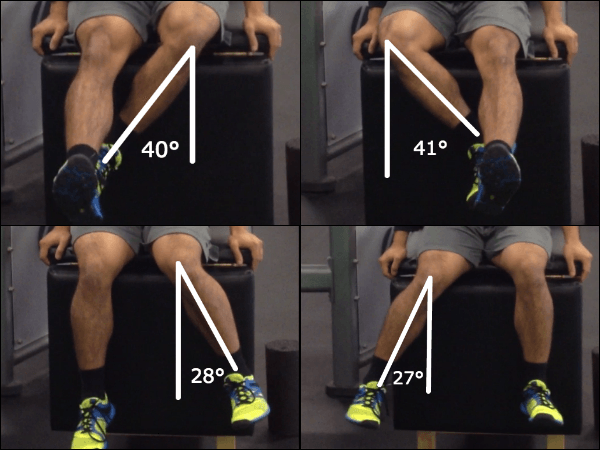 If you do have appropriate ankle dorsiflexion in a passive versus active manner, but you cannot control your given range of motion in an active manner, then you will need to do something in order to provide a motoric strategy that displays a greater control over that range of motion. If my active hip range of motion is [x], and my passive range of motion is greater than [x], well then I may have a lack of ability to control this range of motion. Seek a method that will activate, and thus prime, your mobility. Do these if you are attempting to improve upon force production within your training session. On that train of thought, you can improve upon this thought by categorizing these items into upper and lower CNS prep. If you want to move weight, move it fast. So, simply, train fast. Rehearsal of specific movements is something that has been within my wheelhouse for years on end. When you’re getting ready to dance, you simply just start dancing (toprocking), or grooving to get your body warm. 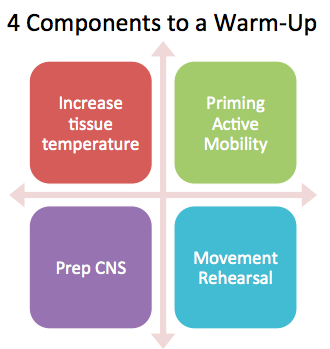 If you go straight to movement rehearsal, are you performing your warm-up incorrectly? I’d have to argue no, because you are still improving blood flow by performing low level movements, but may miss the boat when it comes to CNS activation, or priming the active mobility of a given joint. If you have time, perform 1 through 3 in order to open certain windows of adaptation towards whatever physiological effect you are attempting to improve upon. 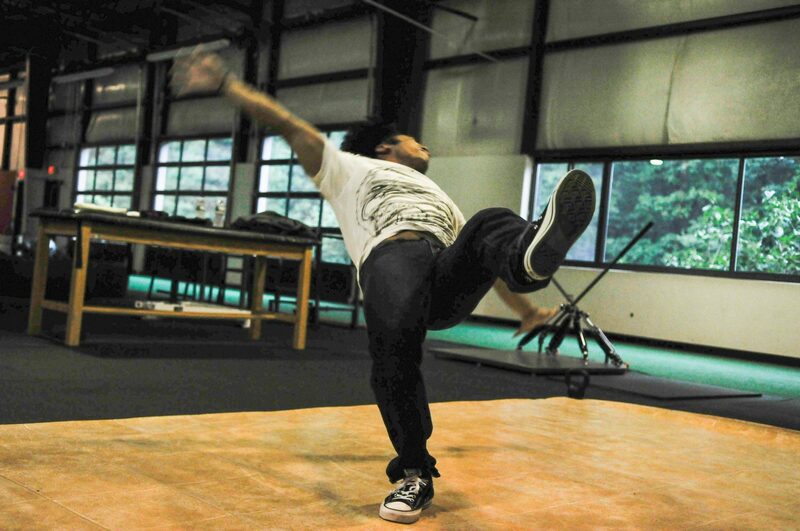 Rehearsing specific movements is important because, well, you need to do those prescribed movements later on at a higher velocity, intensity, or with more precision (technically speaking) in order to elicit whatever physiological goals you are attempting to maintain/improve upon. Let’s go back 10, maybe even just 5 years ago. Let’s visit a powerlifting meet. Do people have foam rollers? Only a few. Are people performing stretches and mobility drills? Only a few. Are people wearing hoodies, sweats, etc in order to “stay warm?” Many, so yes. Are people getting under an empty barbell for reps? Yes. Okay, let’s visit a powerlifting meet nowadays. Do people have foam rollers? Almost everyone. Are people performing stretches and mobility drills? Almost everyone. The reasoning for these items being introduced to powerlifting meets now involves understanding further education, the advent of information being introduced within the internet, and simply smart training. However, let’s visit something I’m more familiar with, such as a [bboy] jam. Do people have foam rollers? Rarely. Are people performing stretches and mobility drills? Yes. This is not to point out that foam rollers are necessary. Rather, sometimes the acute preparation that the mentality of bringing a foam roller with you may be an erroneous decision in the presence of mentally preparing to compete. If a tight muscle group is presenting difficulty, it should have been taken care of prior to competition, for example. Dependence on a foam roller means something else in the training process needs to be addressed. So… What Have You Learned So Far? These are thoughts that have been in my head, but better worded through various linguistics and technical language that Charlie has allowed for me to explain. I’ve always been a fan of performing mobility drills, and then quickly jumping into a specific movement (such as toprocking, and practicing footwork to help amp up the nervous system and increase blood flow). The introduction of foam rolling allows some windows to be opened up, but only if this lack of mobility was not even critical mass to begin with, as I believe foam rolling is simply one other way to improve upon a neurological awareness of whether a given musculature is tight or not. In fact, I’ve personally been introducing open loop drills such as throwing a tennis ball and reactively catching with both hands (left hand is a little more difficult), sprinting drills, and medicine ball circuits without foam rolling or movement preparation drills and I’m not noticing any difference in my movement quality. You can always do whatever you want to do. I’m simply looking for the most efficacious method towards achieving a goal. Nice work mate and congrats on making the articles of the week on the PTDC.